All our professionals at Omni Dental maintain the highest levels of accreditation and pursue ongoing education to stay abreast of the latest trends in dentistry. We believe in putting our patients first and your satisfaction is our main priority. All of our staff is involved in making certain that your dental experience at our office is a comfort and a success. 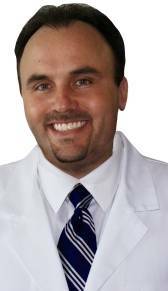 Dr. Daniel Stevens was born and raised in San Diego. He received his Bachelors of Arts from University of California, San Diego. He followed by receiving his Doctorate of Medical Dentistry from Tufts University, School of Dental Medicine in Boston. Dr. Stevens further continued his education at the University of Southern California in Los Angeles as the chief resident in advanced dental training, including implants, veneers, and full mouth reconstruction. He started his practice in 2008 when he custom designed and opened our office in the historic NTC Liberty Station. As an active professional member of the American Dental Association, The California Dental Association, and The San Diego County Dental Society, Dr. Stevens is very involved and committed to his chosen profession and bringing the best to patients. He is very passionate about supporting and being involved in the local community. He is recognized not only for excellence in his clinical practices, but also for his loyalty and commitment to his patients, friends, and family. Dr. Stevens resides in Otay Ranch with his wife and two little girls. San Diego's Top Dentist 2009, 2010, & 2011. Dr. Christina Tsang was born and raised in San Diego. She received her Bachelors of Arts from University of California, San Diego. She followed by receiving her Doctorate of Medical Dentistry from Tufts University, School of Dental Medicine in Boston. Dr. Tsang further continued her education at the University of Southern California in Los Angeles in advanced dentistry, including implants, veneers, and full mouth reconstruction. Dr. Tsang started her career at Family Health Centers of San Diego, a non-profit organization, for 7 years before joining Omni Dental. She focused primarily on pediatric dentistry while at Family Health Centers of San Diego. She joined her husband, Dr. Daniel Stevens, part-time at his practice in 2012 then began full-time in October 2013. As an active professional member of the American Dental Association, The California Dental Association, and The San Diego County Dental Society, Dr. Tsang is very involved and committed to her chosen profession and bringing the best to patients. She is very passionate about supporting and being involved in the local community. She is recognized not only for excellence in her clinical practices, but also for her loyalty and commitment to her patients, friends, and family. Dr. Tsang resides in Otay Ranch with her husband and two little girls. 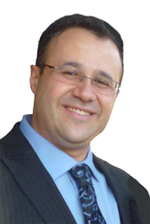 Dr. Tabibzadeh is an Oral & Maxillofacial Surgeon who received his dental degree from the University of Southern California (USC) and medical degree from University of California, Los Angeles (UCLA). He completed his internship in General Surgery and residency in Oral & Maxillofacial Surgery at UCLA Medical Center. In addition, he is certified in both Advanced Cardiac & Trauma Life Supports (ACLS and ATLS). During his extensive training, he has been a recipient of numerous honorary societies and fellowship awards. He is an active member of both the American and California Association of Oral & Maxillofacial Surgeons (AAOMS & CALAOMS). Along with his comprehensive experience in the full scope of his specialty, he provides dental surgery, extraction of wisdom teeth, bone grafting procedures, dental implants, Intravenous sedation and general anesthesia in our practice.